One of my favorite shows this year was from Ganni where they had this cool venue at a warehouse decorated with painted balloons. The collections was inspired by California and Palm Springs where you got a sense of how it´s like to jump into a cabriolet and cruise in the sun wearing printed tees and snakeskin boots. 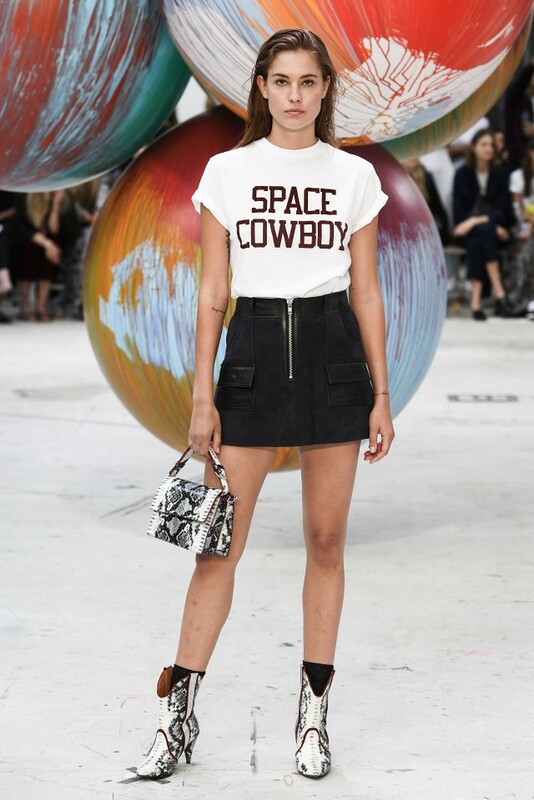 Ganni has also really stepped up their game and they are most definitely getting bigger and bigger each season – and this season they showed their new collection of sunglasses launching in February. What about that?! 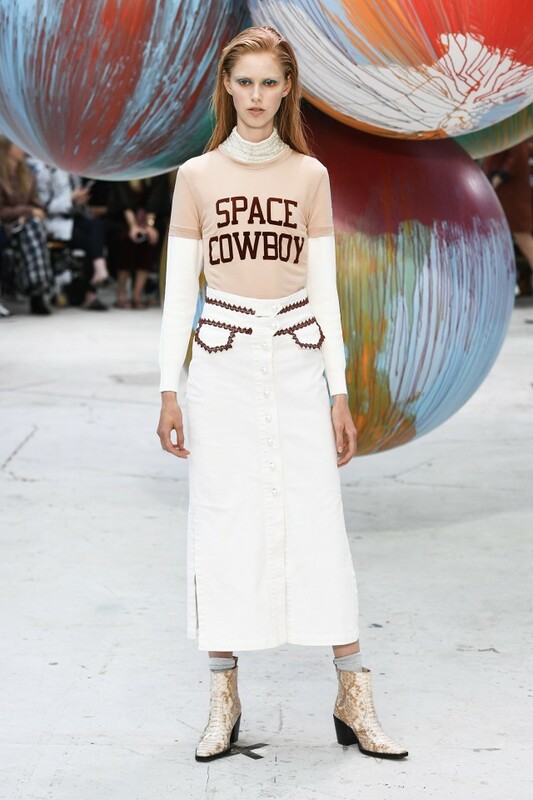 And the signature “Space Cowboy” tee that´s already an it-piece is is already in stores! I wore this cool laced trainer jacket, paired with my favorite bag-tag belt and flatforms for the occasion, making me a little more sportier than usual, but still pretty comfortable. I love the sweater and the sneakers are so cool!! Love the jeans! Where are they from? Hi, Love your shoes Where are they from? Big thanks!